Filing bankruptcy is often portrayed as a be-all-end-all solution to mounting debt, where the debt is discharged at the cost of forever be singled out as a financial leper. At RGG Law, we know that this isn’t exactly the case, and that filing bankruptcy doesn’t necessarily ruin your credit forever, forbidding you from ever again making significant purchases or investments. One of these that we’re almost all familiar with is buying a car. At one time or another, probably multiple times, you’ll have to buy a car. Whether it’s new or used, you’ll also likely have to do some financial juggling and planning to afford it. But what about buying a car with a bankruptcy in your financial history? Is it still possible? 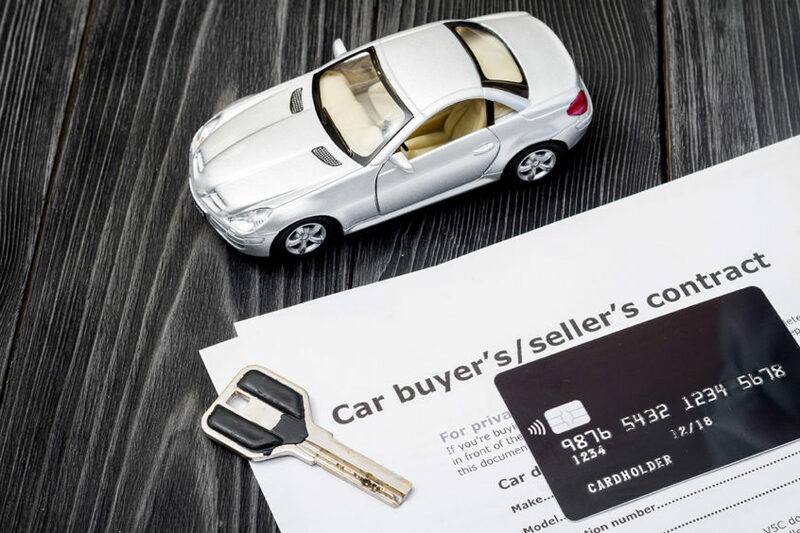 In this blog, we take a look at the topic of buying a car after filing bankruptcy. Bankruptcy often leads people to reconsider wants vs needs. If you’ have to buy a new car on a budget, then this is something you’ll really need to think about. Everyone wants a nice a car with all the modern features and few miles on the speedometer, but what we really need is something the right size that gets us from A to B. If you’re buying a new car after filing bankruptcy, you need to give serious thought to what you need, rather than what you want. Paying extra for something newer, or with additional features that aren’t 100% necessary isn’t the best idea, especially if you’ve just filed or are in the midst of a bankruptcy petition. Bankruptcy, as we all know, tends to hang around in a person’s credit history. Depending on the type of bankruptcy, it could be there for up to ten years. This obviously makes it more difficult to apply for auto financing, as you’re more likely to struggle if the bankruptcy was recent enough that it’s still appearing on your credit history. Rebuilding your credit after bankruptcy is a slow and careful process, but making a smart, affordable decision in auto financing could be a good way methodically rebuild through regular payments. The timing of when you apply for financing is important, too. Taking out an auto loan right as you file will damage your petition, too soon after filing and you might struggle for approval. While waiting for the dust to settle, taking some time to try and build up a down payment and maybe even researching pre-approval for a loan to know what you can finance, will make the car-buying process easier. If you have access to one, a financial planner or credit counselor is a great resource. Most people wouldn’t think it, but there are car dealerships out there willing to work with people who have been forced to file for bankruptcy. No, we don’t mean the shadier “buy here, pay here” dealers, which you should avoid unless you want sky-high interest rates. Many dealers will talk to you about post-bankruptcy financing options, especially if you have taken some time to rebuild your credit. Just remember, certain dealers are still going to try and sell you something pricier for a profit, so you need to keep that “want vs. need” mindset going in. Whatever your future finances hold in store for you, if you’re considering filing bankruptcy then you should have a bankruptcy lawyer you trust by your side. With many years experience in helping those in financial need in Springfield, MO, RGG Law can help you tackle your case with confidence.